Bread box / cat delete. Re: Bread box / cat delete. I just messaged him, thanks! 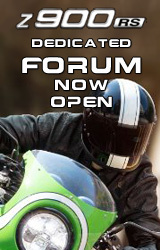 No worries, welcome to the forum! You must be doing some serious stunting to need a cage like that? Here in the UK there is this option for a link pipe. Maybe they can ship to the US? Thank you, I just ordered it and will post updates when I can! Looks real good and like the gap stays the same! What headers are they? dang and I just ordered the mid pipe..... I might try and canx my order and just get the full headers since they look like they have the same gap.